Tour de Florence is held the first Sunday of October every year. It is a mountain bike ride through the beautiful Flint Hills of Kansas where one can experience the ever changing colors of the fall landscape, observe wildlife in their natural habitat and, if you’re fortunate enough, you may even have the opportunity to drink from the artesian well! The ride is approximately 42 miles long and it covers a wide variety of terrain from winding gravel roads and steep hills to areas of rougher road. A shorter route of 25 miles is available for those that are not quite ready for the longer trek. 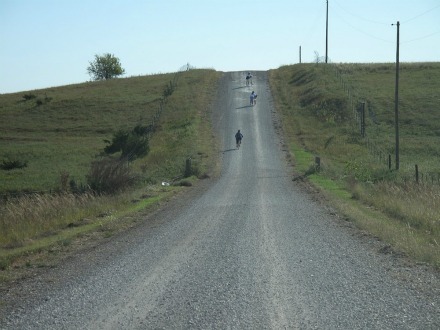 The ride provides full SAG support and a sit-down, home-cooked meal, along with a souvenir t-shirt (to those who pre-register) that reflects the color of the Flint Hills landscape. A small fee is charged to cover costs of SAG support, the meal and t-shirt expenses. 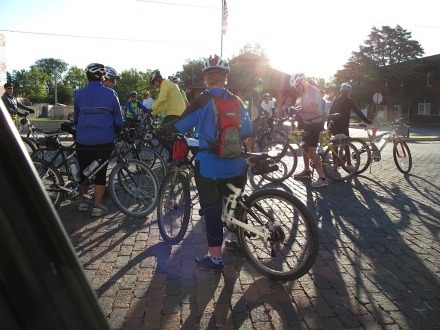 For more information, please send an email tourdeflorence@gmail.com or call 620.878.4676 and request information. We would love to have you join us!